If you’re bothered by the colour or appearance of your teeth, we can sort it. Perhaps you have a love for red wine, or you inherited the brown teeth gene. Take heart, because almost anyone can have whiter teeth. 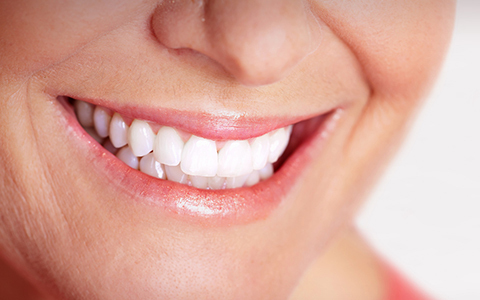 Everybody’s teeth are different shades of white, and if you feel yours are too dark or yellow, come and see the dentist for professional teeth whitening. During your appointment with the dentist, we take photographs so we can capture the ‘before’ to show you at the end and look at all the shades. We will take time to advise you according to what it is you would like to achieve. Now this is not something to try at home! You have probably seen this in the news but by purchasing kits online you can cause sensitivity or even long-term pain and damage to your soft tissues. Your teeth are extremely precious, more than we all realise until they are gone…they deserve to be treated by professionals. The dentists in Abbots Lodge Dental Practice will take some impressions of your teeth, this is a record of your teeth so we can have special trays made especially for you for the best fit and the best results. Ill-fitting trays can cause uneven whitening and can lead to the product to not stay in the tray causes unnecessary ingestion. Upon collecting your new trays, we would provide you with a demonstration of how to apply the whitening gel and provide you with everything you need. Then you would take your trays home and use them overnight or at another convenient time as directed, safe in the knowledge that your gums are completely protected and the whitening solution is scientifically chosen for you as an individual. This type of whitening is proven to have the best and most long term results. Depending on which choice of whitening treatment you decide to go for, you could have immediate results with in-surgery laser whitening and walk out of the practice with teeth up to four shades whiter than when you came in, ready to flash your new smile at the local dog walkers. Would whiter teeth make for a smilier you? Maybe it’s time to find out. Around 4,000 years ago, the ancient Egyptians used to whiten their teeth using a whitening paste made of ground pumice stone and white vinegar. The Romans also whitened their teeth, however you may be shocked to know they used, (wait for it), urine. The ammonia within the urine acted as a bleaching agent which made their teeth whiter. In the 17th Century, people would visit their local barber to file down their teeth. Once filed, they used an acid to whiten them. Although this did make their teeth whiter, it also eroded their tooth enamel which led to tooth decay. You’ll be pleased to hear that tooth whitening has come a long way since the Egyptians, and the Romans and our teeth whitening methods are much safer and more up to date. They are also guaranteed to give you a lovely set of whiter teeth.